Jeremy Thiel: Teaching The Kipp! 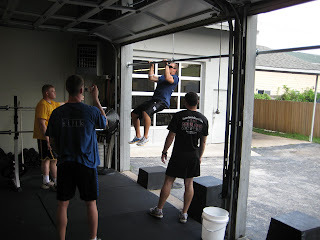 Crossfit Elements - the essentials for doing a crossfit workout of the day. Squats, Deadlift, Push Press, are a few of the basics but kipping pull up has to be one of the most fun to teach and perform.